The last few years, I've been able to wander free around the trails with few worries. Now that I'm back East, I have to be much more aware of ticks and Lyme Disease. Lyme Disease was pretty concentrated on the East Coast for a long time, but it has been spreading. Before I moved from California there was an area in Malibu where ticks and Lyme Disease were on the rise. Being outside should be fun and enjoyable. Adding in a few tick prevention precautions in advance can make sure that you can focus on the moment. 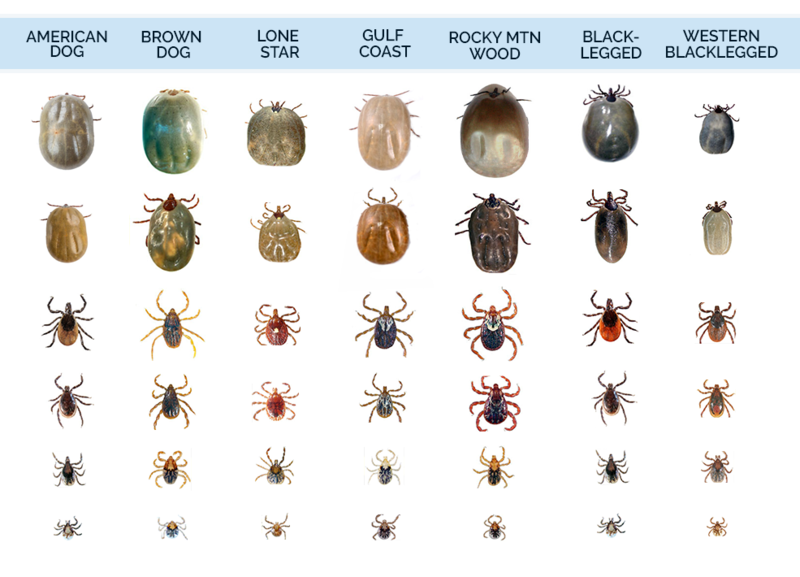 There are a number of different species of ticks that have different marking and colors.The tick body is a flattened oval or tear dropped shape that expands to a plump, round body after feeding. Depending on their life cycle, they can be a number of sizes and have different amount of legs. The larvae stage ticks have 6 legs, while mature ticks have 8. They don't have antennae. Ticks love shady, humid areas. Tall grasses, weeds, the brush along the edges of a trail, and bushes are all places that they enjoy. Check out this guide for more information on the ticks that can be found in each area. Wearing long pants and shirts reduces the amount of skin visible for a tick to bite. You may still pick them up, but they can't attack through clothing. Lighter clothing helps to see ticks easier. Tuck your pants into your socks so ticks can't get walk in from below. The use of gaiters over your shoes and pants give you even more protection. There are a number of options for a bug spray. Which ever you are using, make sure you get your shoes, socks, clothes, hat, exposed skin, and even around your ankles. You can go full on protection with a DEET repellent, such as this one by Sawyer, which feels light on the skin. You can go the natural route with sprays such as this Badger Repellent or doTerra TeraShield that use essential oils and other natural ingredients. This guide by the CDC has a huge amount of information. If you are out in the woods a lot, it's worth getting Sawyer Products Premium Permethrin Clothing Insect Repellent. You spray it on your clothes and it lasts for up to 6 hand washes or 6 weeks saving you from needing to spray every time you go out. I used it for clothing on a trip to the tropics to keep mosquitoes at bay, and had no problems. You can also outsource having your clothes protected with Insect Shield for protection that lasts for even longer with up to 70 washes. Highly trafficked trails tend to be wider, meaning the brush will be farther away from the middle of the trail keeping you away from it. The motions can disturb the edges of the trail enough to keep ticks away. Ticks prefer warm moist places. Meaning for us ladies, it's important to be mindful for bathroom breaks. Be mindful of the tick habitats and ideally go in an area with very little brush around. During and at the end of your hike, check your body. Ticks can be found around anywhere on our body, but do prefer warm moist areas, such as around socks, armpits, the groin, etc. They can also be found in hair. 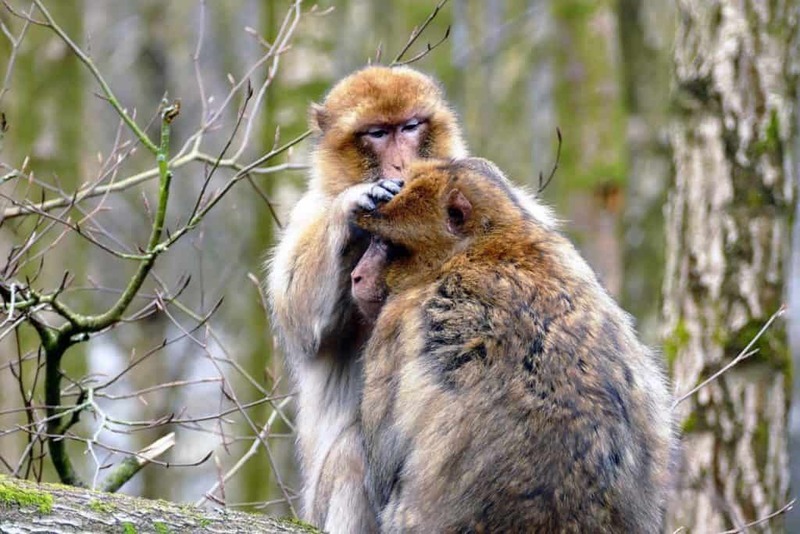 Having a partner check you out increases the chance of finding ticks on your back and other hard to see spots. If you happen to find a tick on your body, you want to make sure that you remove it as soon as possible. These tick pliers are designed to slide under the head and capture the tick after it has been removed. If you have been bitten, seek medical treatment, especially if you are in a high Lyme Disease area. A doctor may choose to give you a course of antibiotics before symptoms even arise. Sometimes, a tick can bite and fall off without leaving a mark. Days or weeks later, you may see a bullseye rash or have unexplained aches. These are some symptoms of Lyme Disease and a visit to a medical professional is advised. Lyme Disease is not the only disease transmitted by ticks. You may also have heard of the Rocky Mountain spotted fever. A bite from the Lone Star Tick can actually give you a meat allergy. All these tips are meant to empower you to enjoy the outside world. Most can be accomplished in just a few minutes to greatly reduce your risk of picking up and being bitten by a tick. The more you do, the lower your risk, and the more you can enjoy exploring nature.